England 05/05/2013 – Soft furnishings are not normally exciting, but Red Rocket Cushions aim to change that. Every year home decor fashions come and go, but you soon realise there is not very much new under the sun, especially when it comes to soft furnishings. However, every now and again someone comes along with something that makes you look twice, which is exactly what Red Rocket Cushions have done. Their great range of funky cushions is truly something fresh and new. Their cushions are modern, unusual, high quality and, importantly, great to look at. Instead of going down the well worn path of making square cushions in that season’s colours they have taken a different direction. Their inspiration is modern culture. Taking the gadgets, games, movies and even websites people love and using them as a theme for their designer cushions has proved a real hit. They have changed the way a lot of people, in particular young people, think about cushions. Everyone loves sitting on a sofa surrounded by cushions. They can turn an uncomfortable chair into a well of softness. However, not everyone is keen on the look of a room with cushions. There is always the danger of a room looking fussy when traditional cushions are used, which does not appeal to the many people, especially the young. Cushions with funky designs solve that problem; they look fresh and modern, so appeal to everyone. Cushions can be fun, zany and funky. Designs that take popular culture as the basis of their designs are bound to be a winner. Every day millions use social media sites like Facebook, Twitter, LinkedIn, YouTube and Pinterest, so it comes as no surprise that cushions that feature these logos are a big hit. The colours and designs are bold and bright, which is perfect for most modern homes. 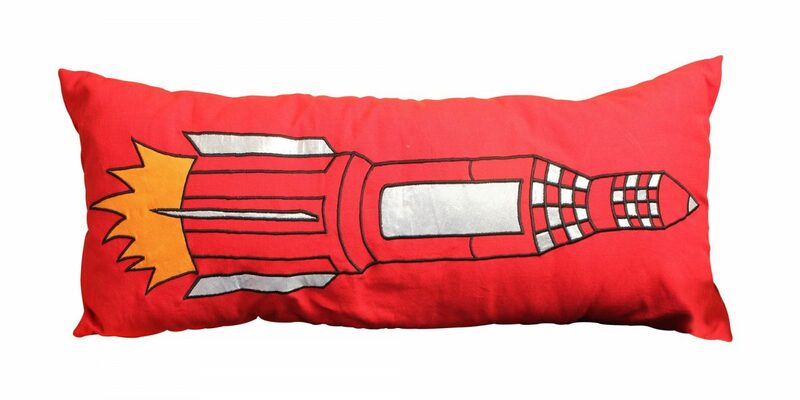 Red Rocket Cushions make all of their cushions by hand. This is a big selling point, because people get something fresh, new and modern that is also good quality. They are adding new designs and themes all the time so there is always something fresh to buy as gifts for family and friends.